1. Reverend Father, why is another Bishop needed for the Resistance? Does a state of necessity subsist in the Church? Aren’t the traditionalist bishops of the SSPX enough for the Church, as the SSPX states? The Church needs Bishops because Our Lord wanted it like this. So, Tradition needs Bishops. The work that Bishop Williamson has done since 1988 is enormous. The help that Bishop Faure brings is indispensable, and a third bishop is not too much. Tradition came to count with seven bishops when Bishop Lazo from the Philippines came over to Tradition before the deaths of Archbishop Lefebvre and Bishop De Castro Mayer. The Resistance is nothing more than the continuance of Tradition. 2. Some people say that your consecration will constitute a schismatic act. What can you say in this regard? Just like the 1988 consecrations did not constitute a schismatic act, in the same way, this one also will not. The reason that motivated the first consecrations is the same that motivates the other ones, that is, the fact that Rome does not return to Tradition. Evidently, this new consecration can receive criticism, just like the consecration of Bishop Faure, but for those that attentively consider the reasons, it concerns consecrations motivated by the very same motive of the 1988 ones: the fact that the Basilica of St. Peter is occupied by enemies of the Our Lord. It’s a painful fact, but it is fact. To deny it proves to be unrealistic, an accusation made by Bishop Fellay to his three brothers of the episcopacy: Bishops Williamson, Tissier, and de Galarreta (Letter of April 14, 2012). This new consecration is motivated by nothing more than the same motives that made Archbishop Lefebvre act, nothing more and nothing less. The only difference is the special circumstance in relation to the authorities of the Society; but in relation to Rome and the crisis, the reasons are the same and are identical in every way. 3. Father, last year, motivated by the consecration of Bishop Faure, the SSPX said that the Resistance is sedevacantist and that that is demonstrated by consecrating bishops without the permission of the Roman authorities. What is your response to this other accusation? In the very same way that Archbishop Lefebvre was not a sedevacantist, the Resistance is not sedevacantist, although within the Resistance there may be, just like in the SSPX there always were, sympathizers of this thesis. 4. Father, what is your position regarding sedevacantism? I think that the position of Archbishop Lefebvre in this regards is the most sensible and the most prudent. The Pope cannot use his authority to destroy the Church, so we don’t obey him in this work. We refuse to have any part in the destruction of the Church. As far as deciding if the Pope has lost his pontificate because of this, it is a disputed issue. We don’t have the means of withdrawing a conclusion that eliminates all doubt. So then, with doubt, it is best to not affirm that the seat is vacant and continue to consider him the Pope. 5. Last year we asked Bishop Faure what he would do if he were invited to the Vatican by Pope Francis. Now we ask you the same question. Would you go? What would you say to Francis? Go to Rome? Only if it were to ask if the Roman authorities accept Quanta Cura, Syllabus, Pascendi, etc., but for now I think that the answer was already given and it is negative. 6. Professor Carlos Nougué has posted a brief article about your life where he mentions the incident of the pressure you received from the authorities of the SSPX for having refused to sing the Te Deum in celebration of the Motu Proprio Summorum Pontificum (July of 2007). Can you tell us anything about this and about other circumstances when you were under pressure by the leaders of the SSPX? What happened in Santa Cruz when Bishop de Galarreta was here suggesting to me that I leave the monastery is very complicated. Several factors come about. Only Bishop de Galarreta can say exactly what all the reasons were that moved him to make this suggestion to me. The doctrinal question could have been in play, but there is no certainty about that since Bishop de Galarreta was, in principle, against the deal. May be the liberty and independence of the monastery was unsettling to Bishop Fellay. Bishop de Galarreta gave as a motive the vocations of the monastery because while I was prior, the priests would not send vocations. 7. Reverend Father, did your experience in the monastery of Le Barroux serve to strengthen your opposition to the going astray of the accordista drift or rallié of the SSPX? Yes, there is something similar in the admiration that Dom Gérard had for the then Cardinal Ratzinger and the admiration, or at least, consideration that Bishop Fellay has for Benedict XVI. Dom Gérard used to say that Archbishop Lefebvre stayed in his corner in order to refuse to come in contact with the Roman representatives and that Cardinal Ratzinger was a man that it would be possible to deal with. Dom Gérard did not know the Cardinal and did not want to learn from the experience of Archbishop Lefebvre. I think that Bishop Fellay has committed the same error. The advice and views of elders is something fundamental in life. Saint Thomas Aquinas, when speaking about docility, points to this disposition of the soul that we must have with elders. It is worth reading article 3 of the question 49 of the IIa-IIae of the Summa Theologica. It is very instructive. Dom Gérard did not take into account the advice and warnings of Archbishop Lefebvre. Bishop Fellay would act very differently if he also contemplated this, I believe. This question deserves an entire study regarding the attitudes of Dom Gerard and Bishop Fellay. I think that both were lacking in the prudence of Archbishop Lefebvre. 8. Can you tell us how the split came about between your monastery and the SSPX in 2012? The separation between our monastery and the Society was gradual due to another incident. But in 2012, when Brother Arsenio as well as myself wrote to them about the dealings with Rome, and moreover when Bishop Williamson was in our monastery and received our total support, the rupture was made. Nevertheless, we maintain good relations with some members of the SSPX that see the problem, although they believe that it is better to remain in the SSPX for now. 9. Father, you knew Archbishop Lefebvre. Can you tell us something about him? Archbishop Lefebvre possessed the strength and the tranquility of those that are certain about the well founded principles of what they are doing, and this was united to a great readiness to attend to souls. His tranquility came from the robustness of his Faith and his common sense. Certitude generates tranquility, so the certitude of Faith is superior to everything else. From this we can see the total tranquility that Archbishop Lefebvre presented in every occasion. He was a true bishop, as Saint Paul describes it, who acted in a way to save his own soul and the souls of others that listened to his words and counsel. His motto from his coat of arms summed up his attitude and his action: Credidimus Caritati. 10. How would you explain the change that has been done in the SSPX regarding a practical agreement with Rome and what do you think with happen to the Society? I think that there are members of the Society that want an agreement and have been working in this sense for many years. Maybe Bishop Tissier de Mallerais and Bishop de Galerreta accepted the change from what had been decided in the 2006 General Chapter in order to save the Society from an internal division. Only God knows what will happen with the Society. I pray that it returns to its past fervor, but it will be difficult to return as things once were. Not being together with the Society, I have difficulty in giving a fundamental opinion. From what I have heard and read, I believe that the Society will try to arrive at an unstable equilibrium composed of legality and fidelity. But they will fight on the turf chosen by the enemy. From a tactical perspective, it’s not very smart. The liberty to preach against the Holy See will be paralyzed. Even more so, Bishop Fellay seems to think differently from Archbishop Lefebvre, despite his denial of this. This is fatal for the SSPX. 11. Reverend Father, can we speak of a true and actual liberalism within the SSPX or would that be an exaggeration? In bringing oneself closer to Rome, there is no way of avoiding liberalism. 12. Father, how would you define the Resistance and how do you see its future? I would define the Resistance as fidelity to Archbishop Lefebvre and Bishop De Castro Mayer. The resistance is Tradition, or is the most sane part of Tradition or, at least, the part of Tradition that clearly rejects the idea of a practical agreement without Rome having returned to Tradition. The future of the Resistance is the fidelity to Archbishop Lefebvre and Bishop De Castro Mayer, or in other words, the teachings of the infallible Magisterium of the Church. Thank God that we have Bishop Williamson and Bishop Faure with us because they were chosen by Archbishop Lefebvre and were always faithful disciples of the founder of the Society of St. Pius X. 13. What will be your priorities as bishop? To give the Sacraments and assure the preaching of the Faith. 14. What will be the motto of your coat of arms and its meaning? The motto will be “Veritatem Dilexisti” (Thou hast loved Truth) taken from Psalm 50. The coat of arms is the backside of a miraculous medal with the 12 stars (the 12 articles of the Creed and the 12 Apostles), the Cross, the “M” of the Most Blessed Virgin Mary, and the Sacred Hearts. In the beginning, Brazil had the name of the “Land of the Holy Cross”. This is also the name of our monastery. Our Congregation was dedicated to the Most Sacred Hearts of Jesus and Mary by our founder, Rev. Fr. Jean Baptiste Muard OSB, in the 19th century. 15. Finally, Reverend Father, would you like to send a message to traditionalists, in particular, to the Resistance? A message? Study the works of Archbishop Lefebvre and learn from his examples. Archbishop Lefebvre is another Fr. Le Floch and Fr. Le Floch is the Magisterium; he is the love of the Magisterium of the Church. Only in this way can liberalism and Modernism be overcome. Moreover, read and search for understanding in the great anti-liberal authors, especially those that understand the errors of the modern world, like Bishop De Castro Mayer, Archbishop Lefebvre and also Bishop Tissier de Mallerais who expounds upon the strange theology of Benedict XVI with precision and who gave us the biography of Archbishop Lefebvre, not to mention the ancient authors, whose list would be too lengthy here. Remember Bishop Vital, the great Brazilian bishop and friend of Msgr. de Ségur, who vigorously combated masonry and because of this was incarcerated and probably poisoned because he died a little after having been released from prison due to serious digestive problems. Remember also Cardinal Pie and, for Brazilians, Gustavo Corção, whose book, “O Século do Nada” (The Age of Nothing), should be known by all. Corção understood the evil of the times very well: the lie, since he said that the 20th century could be called the age of the lie. The remedy to this is in its opposite: “Veritatem dilexisti”. Dear Father, we give enormous thanks to God, His Most Holy Mother, saint Joseph Protector of the Church, and saint Benedict for the great blessing that the Resistance receives with your consecration. We ask God to give you a highly fruitful episcopacy. We give many thanks to you for having accepted such an important responsibility and to Bishop Williamson and Bishop Faure because they will consecrate you as a successor of the Apostles. Deo grátias! An article called “A New Dominican Community” was published on October 24, 2014 on the SSPX USA web site1. Here are the principle passages with some added commentary. It is interesting to note that on 24 October, the same day this article appeared, two Dominican Fathers from Avrillé arrived in the United States for a 15 day stay to visit the Dominican Tertiaries attached to the Avrillé friary. Two days later on 26 October, the SSPX District Superior of the United States. Fr. Wegner, sent a letter to all his priests and to all the Avrillé Tertiaries living in the United States, warning them against the Avrillé friary and asking the Avrillé Tertiaries to join the Steffeshausen Third Order. In his turn, on 31 October, Fr. Albert sent a letter to the Avrillé Tertiaries living in the United States, warning them against the Avrillé friary and asking the same Tertiaries to join his Third Order. “Find out about a new traditional religious community, the Dominican Friars of Steffeshausen, Belgium, and see how you can help them… or even join the Third Order of St. Dominic. 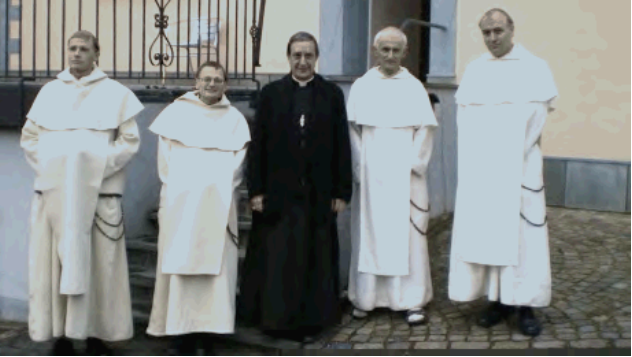 A video has just been posted about a new foundation of traditional Dominican friars in Belgium and the Third Order that they are offering to the faithful. This new community of traditional Dominican friars was founded on November 15, 2013 in Steffeshausen, a little village in the southeast corner of Belgium. They were invited there by the villagers after the death of their parish priest, who had kept the traditional Mass and was persecuted by his bishop some 25 years ago. On 26 January 2013, during a meeting in Suresnes, in the presence of Fr. 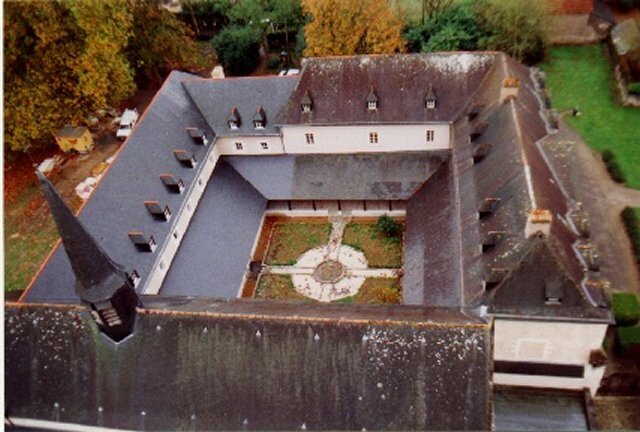 de Cacqueray [then District Superior of France], Bishop Fellay asked the Avrillé Dominicans to bring together five “vagus” Dominicans (all perpetually professed to the Avrillé friary) in a house which would be under the jurisdiction of Avrillé. That day, Bishop Fellay promised to support that foundation with his authority and to tell the religious who would refuse to submit that they must remove the habit or they would no longer be recognized as Dominicans by the Society of St. Pius X. The Avrillé Dominicans accepted this decision. 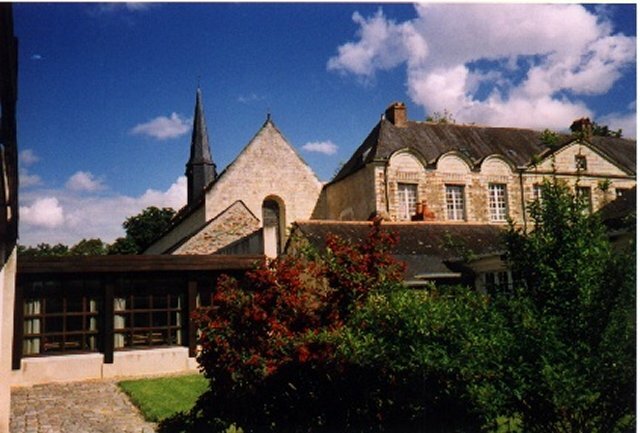 A committee of lay people who were taking care of the house of Steffeshausen contacted the Avrillé Dominicans early February 2013 offering to hand over this house, so the fathers proposed to Bishop Fellay that the foundation be made there. The bishop accepted, and contacted the five religious to offer to install them in this house. However, in June 2013, Bishop de Galarreta told Avrillé that it was he who would take this foundation under his authority. When the fathers told him that Bishop Fellay had promised that the foundation would be instituted under the authority of Avrillé, Bishop de Galarreta answered, “Bishop Fellay considers himself to be relieved of his promise.” He declined to comment further and referred to Bishop Fellay. Father Prior of Avrillé then wrote three letters to Bishop Fellay on 14 July, 26 July and 11 August 2013 (the last of which was personally delivered by Fr. de Cacqueray) asking for explanations— he has never received a response. Our Commentary: The Dominican Order, which is an exempt Order, has never been put under the jurisdiction of a bishop. What’s more, being a bishop without jurisdiction, Bishop de Galaretta’s action of removing the five religious from their legitimate superior, without that superior’s agreement, is an illegitimate act and indicates a schismatic mentality by attributing to the bishops consecrated by Archbishop Lefebvre a jurisdiction they do not have and which Archbishop Lefebvre never wanted to give to them because he himself did not have it, as he so often said. In the video presented with this article, Fr. Albert recounts his history and very rapidly skims over the 19 years of his life that he spent with “some traditional Dominicans in France,” omitting to say that he was a part of the Avrillé community, that he studied there, that he received all his ecclesiastical orders from as a member of this community and that he made a vow of perpetual obedience between the hands of the prior of Avrillé. He also forgets to tell that he was sent to the United States in 2006 by his superiors in Avrillé, on the recommendation of Bishop Fellay, and that afterwards he refused to return to the Avrillé friary where his superiors still wait for him. He also keeps quiet about the situation of the four other religious, all perpetually professed to Avrillé, of whom three left the friary in the middle of the night of 11-12 April 2011 with the complicity of the German SSPX District Superior, Fr. Franz Schmidberger. There are many lapses of memory and much silence in the telling of this tale. This foundation, made on dishonesty and disobedience, is a violation of religious law. But above all, in the current context, it is a maneuver by Menzingen to weaken the Avrillé community and to have a nice, happy community of Menzingen Dominicans, who neither bark nor bite.